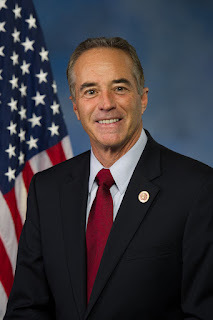 WASHINGTON D.C. -- Congressman Chris Collins (NY-27) today announced that the Firefighter Cancer Registry Act was reported favorably from the Senate Committee on Health, Education, Labor and Pensions. Collins and Congressman Bill Pascrell (NJ-09) co-authored the House version of this bill that unanimously passed the House on September 12, 2017. The Firefighter Cancer Registry Act would require the Centers for Disease Control and Prevention to develop and maintain a registry to collect data regarding the incidence of cancer in firefighters. A 2015 study by the National Institute for Occupational Safety and Health found that firefighters had a greater number of cancer diagnoses and related deaths than the general population, revealing an enormous gap in research. "In communities across the United States, firefighters so bravely run toward emergency situations and put their lives in danger to help their neighbors," said Collins. "I thank my Senate colleagues for their work in advancing this important legislation through committee and for their commitment to the safety of our nation's firefighters. We need more information to determine how to better improve equipment and protocols to keep these men and women safe, and this was a huge step in the right direction." "I am thankful for the efforts of Senators Bob Menendez, Lisa Murkowski, Patty Murray, and Lamar Alexander in advancing companion legislation establishing a national firefighter cancer registry through committee," said Pascrell. "The passage of this bipartisan, bicameral bill by voice vote speaks volumes to our collective commitment to the brave men and women in the fire services. We are now a step closer to better understanding firefighters' risks for developing cancer. Our legislation will ensure firefighters who enter smoke-filled rooms and hazardous environments in service to their communities get the support they need. While the House has already passed legislation which would create this registry, I look forward to the Senate legislation moving through its chamber so we can get a bill on the President's desk this year." If signed into law, the Firefighter Cancer Registry Act would authorize federal funds to gather data that would study a number of potential risk factors, including but not limited to the status of the firefighter (volunteer, paid-on-call, or career), number of years on the job, the number of incidents attended, and the type of incidence. The collection of this data would allow for improved equipment, enhanced safety protocols and preventative techniques for our firefighters. The next step in advancing this legislation is passage in the Senate.